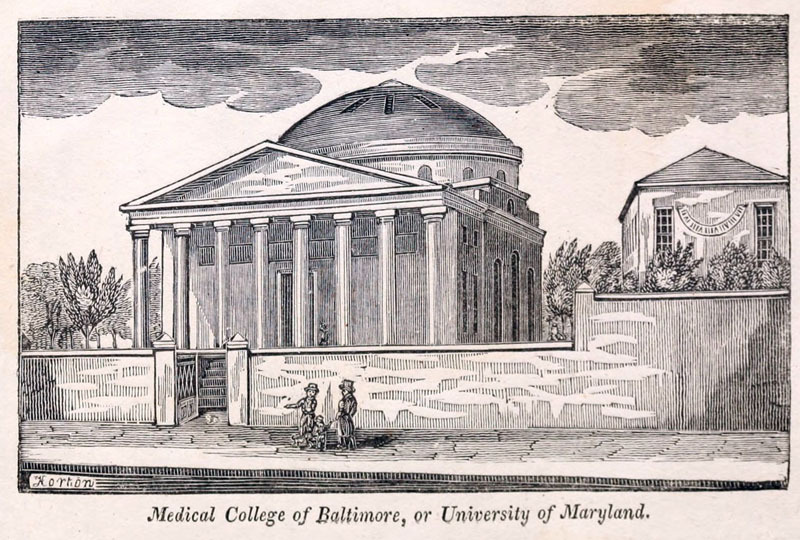 Davidge Hall, on the University of Maryland Medical School Campus, is the oldest medical facility building in the nation. The red brick structure is named after the school's founder and first dean, John Beale Davidge. It was designed by architect Robert Carey Long, Sr. 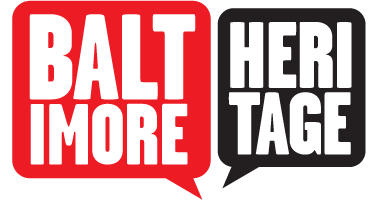 Constructed in 1812 on land purchased from Revolutionary War Hero John Eager Howard, the building was near the western edge of the growing city of Baltimore and offered medical students and teachers an excellent view of the harbor. In 1814, observers reportedly witnessed from the building's white-columned porch the "bombs bursting in air" during the British attack of Fort McHenry. Although large by early nineteenth century standards, this beautifully restored Classical Revival style building was by no means luxuriously outfitted. Heated by gas stoves close to the ceiling, Davidge Hall was cold, dark, and dank in the winter, frequently filled with noxious odors from the primitive embalming that took place in the anatomy lab and reeked of fumes from chemical experiments performed in the lower lecture hall. 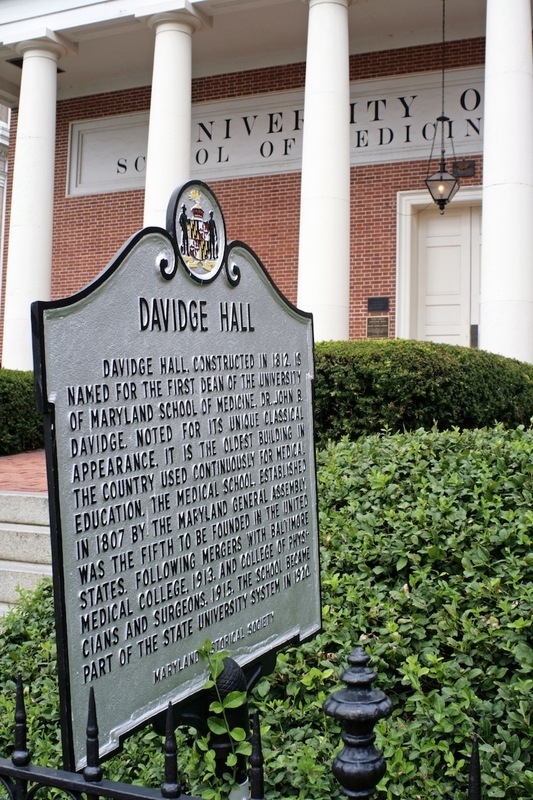 Though the practice of medicine has changed and improved over the years and the building has been updated, Davidge Hall has retained many original details and remains an iconic part of the medical school campus. 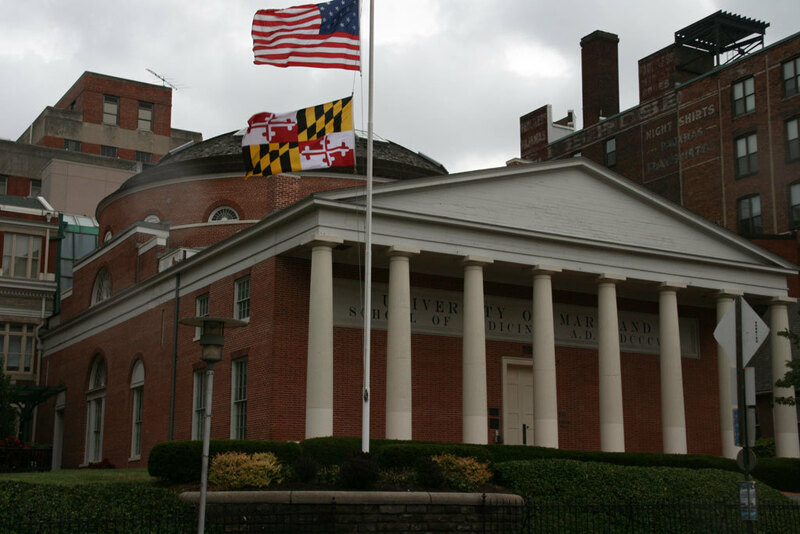 Astoundingly, all of the nearly 20,000 students educated by the University of Maryland School of Medicine to date have passed through this exquisite building's doors. In 1974, Davidge Hall was placed on the National Register of Historic Places, and in 1997, the U.S. Department of the Interior named the building a National Historic Landmark. The building is currently used for special events and houses a collection of medical artifacts, including paintings, antique medical instruments, and a mummified human. 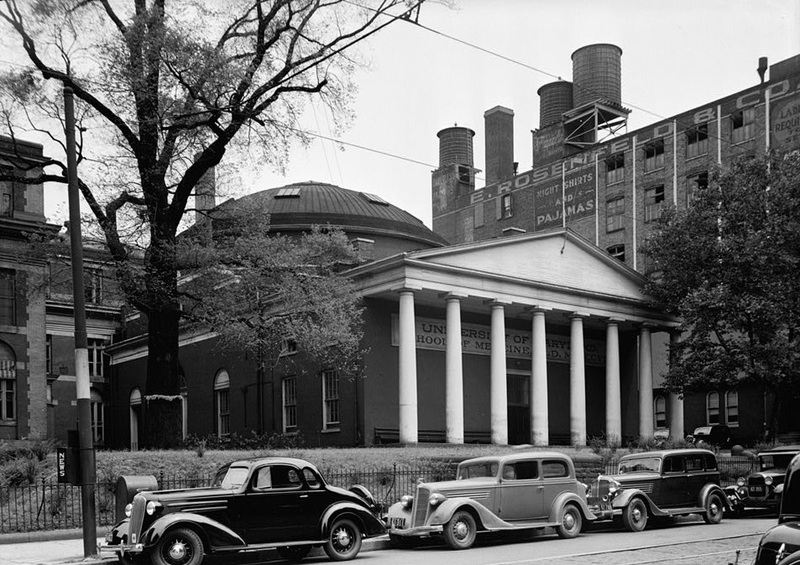 Theresa Donnelly, “Davidge Hall,” Explore Baltimore Heritage, accessed April 19, 2019, https://explore.baltimoreheritage.org/items/show/124.